Guedel airway is one of our widely used Anaesthesia products. The medical device, oropharyngeal airway or anaesthesia airway, is used to maintain a patent (open) airway. It is used in patients who are unconscious or are on general anaesthesia in which tongue can cause obstruction. GPC produces Anaesthesia Airways in various sizes. The correct size of the Guedel Airway is chosen by measuring against the patient’s head. 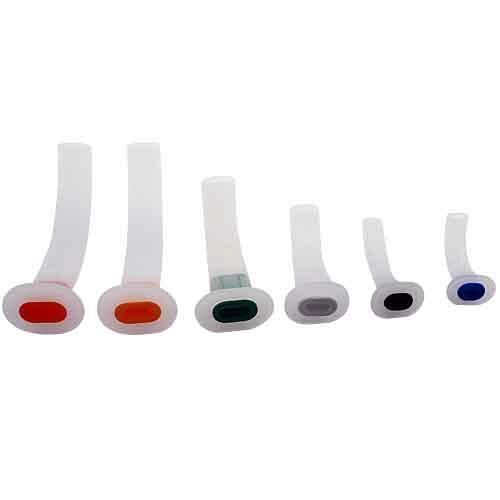 High quality PVC is used in production of Anaesthesia Airways in size 0-4. These Airways may be sterile or non-sterile. Send Your Buy Requirement For "Anesthesia Airway" AND Get Quote Quickly.